Non-Compete & Non-Solicitation Agreements. Available for Your State. Popular - Non-Compete and Non-Solicitation Agreements in which an employee agrees to uphold certain conditions for a set period of time after leaving a company. These forms contain all relevant provisions including non-solicitation of employees, employment with a competing company and treatment of the company's confidential information. The non-compete form. To the person who’s asked to sign it, it can look like a daunting form, something that hamstrings their career prospects and legally forces them into some sort of commitment. To the person drawing it up, the non-compete form is actually a good way of doing business, ensuring that their trade secrets and their best talent are both kept in-house. And when you consider that all non-compete forms have to be signed and agreed upon by two parties, you realize just how fair they can be. Of course, the non-compete form won’t get either party anywhere unless it’s ironclad. 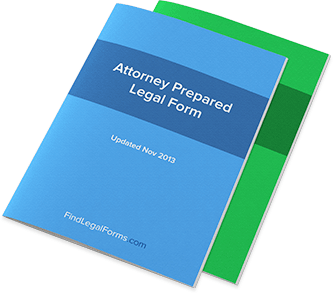 FindLegalForms.com places a heavy emphasis on legal, ironclad written agreements that can be downloaded as contracts and forms – without this assurance of quality, the contracts you download are essentially worthless. But we also want you to know how you can benefit from downloading these forms, which is why we’ll give you advice on the non-compete form in the coming paragraphs. Of course, no contract is going to hold up in court if one of two parties didn’t sign it – otherwise one person could go around making all sorts of agreements with anyone without their permission. Since that idea is, of course, absurd, it’s essential to know what makes an agreement a true legal agreement: two-party cooperation in the contract. It’s not enough that both parties sign the non-compete form; the non-compete form must outline the terms of this agreement. Sometimes these details must be filled in – which is why downloading an easy-to-use-template can be such an important part of running a business. Because each agreement should be customized to the exact situation the non-compete form is addressing, it’s important that the forms you download be customizable but similarly legally-binding. For many people, the idea of using a non-compete agreement is a sign of distrust. If you didn’t trust someone, you would have them sign something like this, would you not? That’s the argument, but it’s important to remember that all contracts are not necessarily signs of distrust. There’s an old saying “trust but verify.” That’s exactly what a non-compete form – and really all legal contracts – are accomplishing. Of course, any difficult stipulations in the contract are up to the two parties involved: if the two parties agree to strict terms, then that’s the state of the non-compete form. With this approval from both parties, there’s really no one to say whether or not a non-compete form is “too strict.” Again, even many template non-compete forms are what you make of them. If you’re interested in running your business smoothly, you need to know that you can trust your employees not to abandon ship and use your secrets against you. That’s why non-compete forms can often make a great part of running a business and hiring new workers. If workers bring up an issue with the form, be willing to change it around in order to suit each of your needs – but don’t let them stretch the contract too much.